Hordes of tourists visit the Mediterranean island of Malta each year to enjoy the above ground attractions the country has to offer such as breath-taking sandy beaches, historical buildings, and traditional cuisine. Yet, there is also a subterranean world hidden beneath the island’s surface. These are the rumored secret tunnels of Malta. For centuries, it has been alleged that the Knights of Malta (known also as the Knights Hospitallers) had constructed an underground city during their occupation of the island, which lasted from the 16th century until its conquest by Napoleon at the end of the 18th century. These stories have long been regarded by many as merely urban legends, with their veracity dismissed by scholars. Although not an underground city per se , the drainage system constructed by the knights was known to the British who occupied Malta during the 19th and 20th centuries. When the system was first installed, it was considered an advanced idea for its age, as it intended to provide sanitation for the whole of Valetta, the capital city of Malta. By the time the British took control of the island, however, this system had become so degenerate that it became a source of pollution instead. Moreover, it was causing the inhabitants of the island to fall sick. 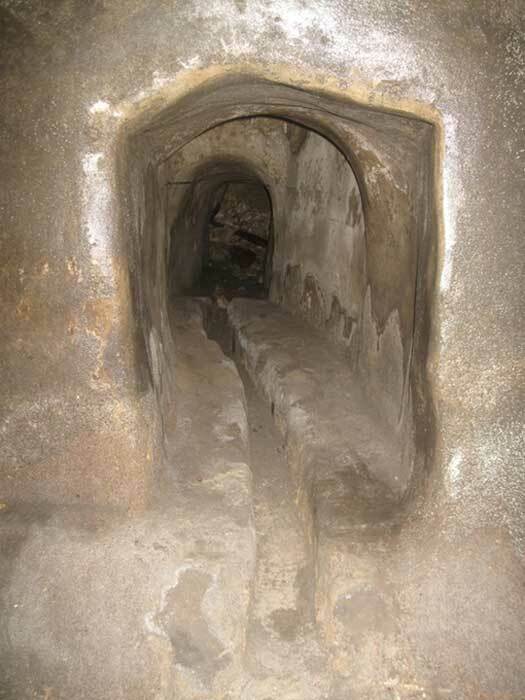 The drainage system established by the knights relied on gravity to clear the waste produced by the islanders, as opposed to modern systems that rely on water to flush excrement. The waste products would exit from holes in the bastion and be carried out into the sea. It has been suggested that this system may have contributed to the 1813 plague, which took at least 8000 lives. As a result, the British decided to have the entire system replaced. Thus, the British studied the whole layout of the drainage station and then had lead pipes installed in them to facilitate the removal of waste. Unfortunately, the plans of the drainage system, if they indeed existed, have not survived. Apart from the drainage system, the Knights of Malta were also responsible for constructing underground water reservoirs. As crusaders, The Knights of Malta were the sworn enemies of the Muslim Ottoman Empire. The Ottomans had attempted to drive the knights off the island, most notably during the Great Siege of Malta in 1565. The knights, however, successfully defended the island, and decided to increase its fortification following the siege. Apart from fortifying the island, the knights also had to ensure that in the event of a siege, the island’s defenders would have enough drinkable water available. Therefore, huge reservoirs for water were built beneath the city of Valetta. Finding the Knights’ “Hidden City”? One of these reservoirs was reported to have been discovered just under the paving stones of Palace Square in the center of Valetta in 2009. 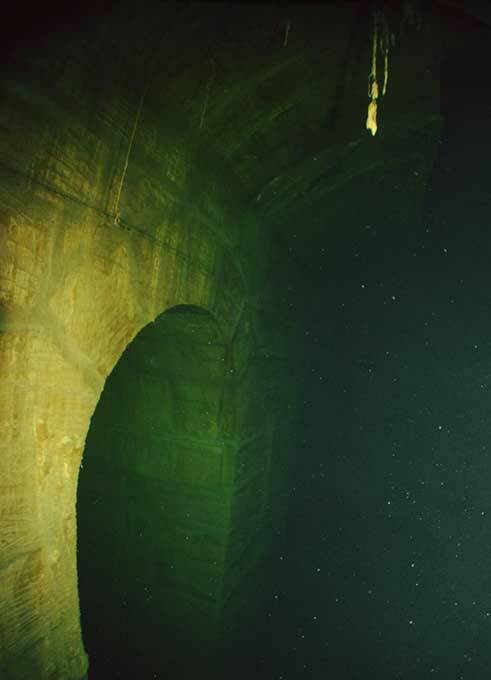 Near the bottom of this reservoir there is an opening in a wall which leads to a tunnel. This tunnel then connects to channels, some of which lead towards the palace. Efforts have been made to follow these channels to their endpoint, though they have not been successful, as they were blocked up during a later part of the island’s history. 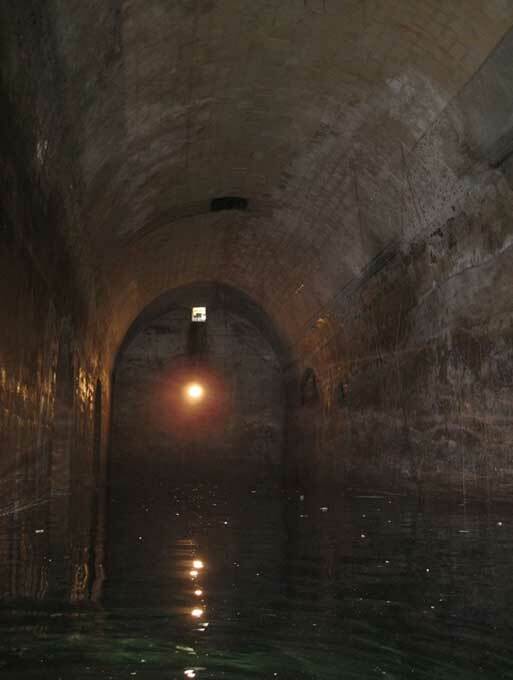 It has been suggested that it is due to these water supply tunnels, as well as the drainage system, that the legends of Malta’s subterranean city came into being. In any case, scholars are starting to learn more about these underground tunnels, especially when subterranean development is being carried out. The discovery of the reservoir in 2009, for instance, was made possible as a result of preparation being done for the building of an underground one-storey carpark in the area. Another issue surrounding these subterranean tunnels revolves round the question of whether the public should be allowed access to them. In 2015, for example, some of these tunnels were opened to visitors for several days. This event raised awareness about what lies beneath the city, and may perhaps pave the way to having the tunnels permanently opened. Nevertheless, others are more cautious about it, and argue that the tunnels should be treated with care, and not be sacrificed in the name of tourism. "the tunnels should be treated with care, and not be sacrificed in the name of tourism." I'm at a loss to understand how the tunnels could be "sacrificed" in the name of tourism. The tunnels under Valetta are not the only tunnels and underground passages, reservoirs, etc. There are many underground passages etc etc. Phoenician and Punic remains are found everywhere. In the '70-ies of last century, a construction company, building a school, suddenly opened a big underground space, showing statues and many other ancient remains. The company send the workers home for 2 days and closed off the site. The find was not reported and the remains disappeared. When the workers came back, the space was filled with debris and was covered, possibly with a concrete slab. There a many more stories coming from the people now. Also about the skeleton of an elephant in the stones of a quarry after they blew up part of the walls. It became visible after the clouds of the explosion went, in the wall that was still standing. It was blown to pieces. Regrettable, the awareness and importance of history was and is still diminished in Malta. 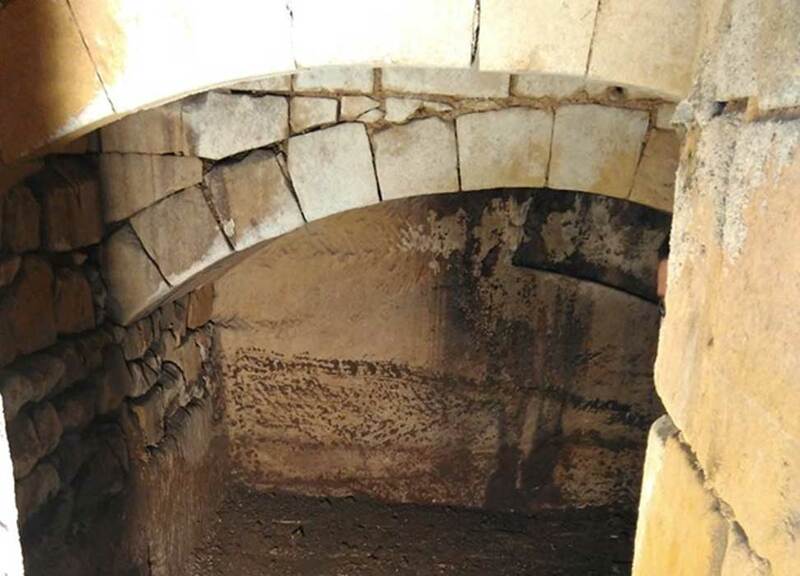 In 1930, a class of some 20 children and their teacher(s) went down into the Hypogeum in Tarxien. They were never seen again and the cries of the children were heard all over Malta. An American journalist (lady) visited the area and wrote an article on this. She went down with a guide in the tunnels UNDER the hypogeum. Stories in Malta tell, that it was possible to walk underground from the Northwest to the Southeast. In Rabat and Mdina (resp. suburb and ancient capital of Malta) the underground tunnels, reservoirs and much more are well known here. I went myself secretly in the tunnels under Midna during the reconstruction works. The entrance is now fully closed and is not visible anymore. 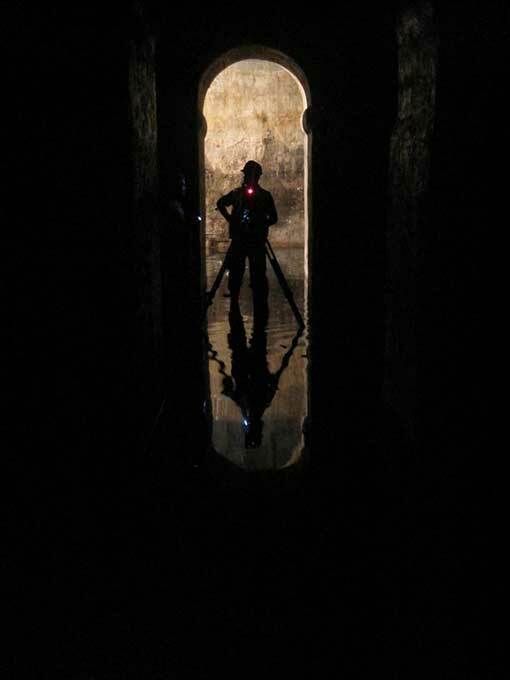 During constructions, ancient wells, tunnels and reservoirs are found and often closed, not even researched. In May 2018, an international conference is set up about the Crystal City under Malta. More information is available.